Special hobby prepared for you this year really special offer! Since Christmas is a long time, and we want to delight our customers every season, we have a present for you now. On Azure line we provide 50% sale! 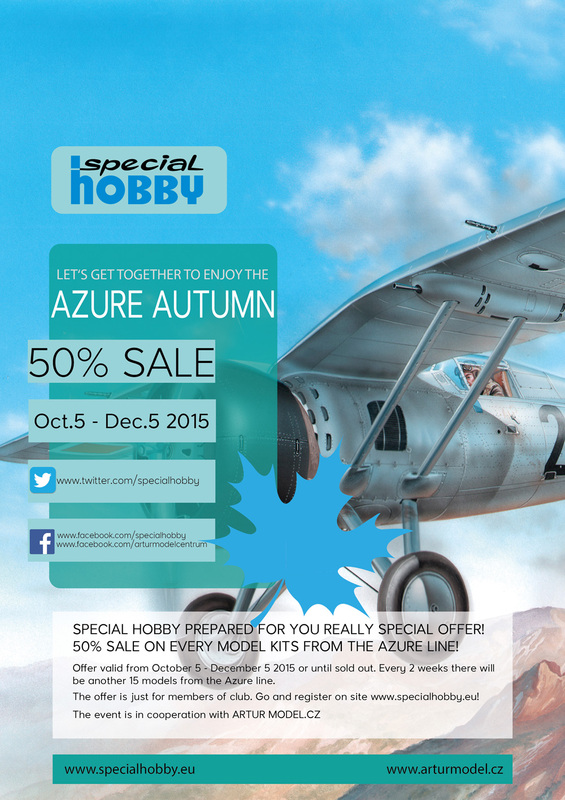 Be careful, the offer valid from Oct. 5 – Dec.5 2015 or until sold out. So do not hesitate and order your favorite model kits as soon as possible! Every 2 weeks there will be another 15 model kits from the Azur line. The offer is only for members of club. Be a member of club is really simple! Just register on the site https://www.specialhobby.eu/open-account/ and you can take advantage of our great offer!